September 2018. Information Management Network Conference. Leah Slaughter will be one of the speakers at this years inaugural Residential Property Management Forum taking place on September 13-14 in Dallas, Texas. May 2018. Hallmark Channel Feature on Foster Dog. Watch this clip featuring Leah Slaughter and one of her foster dogs, Cookie , from Legacy Humane Society on the Hallmark Channel. November 2017. Hallmark Channel Feature on Foster Dog. Watch this clip featuring Leah Slaughter and one of her foster dogs, Maggie, from Legacy Humane Society on the Hallmark Channel. https://youtu.be/YE55NbY2dGE. November 2017. Fox 4 News DFW Story. Leah Slaughter, owner of OmniKey was interviewed on FOX 4 news about the development occurring in Rowlett. http://www.fox4news.com/news/rowlett-sees-development-boom-after-2015-tornado. November 2017. Live Property Showcase Webinar with Real Wealth Network featuring our properties and services in North Texas. November 2017. Leah Slaughter, owner of Omni Key Realty was interviewed on KTEN NBC in Denison. They discussed the new construction revitalization work OmniKey is doing on Sherman and Denison. 11/7/17 on NBC in Sherman. Password is abc. Year 2017. 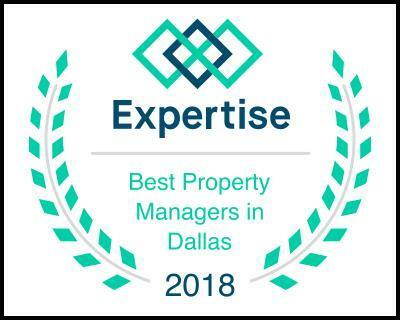 Expertise - Best Property Managers in Dallas for 2017. Expertise looked at the 326 property managers in Dallas and chose the top 20. OmniKey Realty was selected. The list was based on the following criteria- https://www.expertise.com/tx/dallas/property-management#provider6. October 2017. Scam Detector Article: 10 Real Estate Scams That You Need To Avoid Today. This article quotes Leah Slaughter, owner of OmniKey Realty as she discusses the scam of duplicated listings and what to look for when you are interested in renting a property. http://www.scam-detector.com/houses-and-properties-scams/10-real-estate-scams-that-you-need-to-avoid-today. September 2017. Should You Use a Property Management Company for Your Rental Property? This article gives questions and advice for those considering investing in a property management company with real estate. Leah Slaughter is quoted on being a knowledgeable landlord and what benefits property managers can have for your investments. Should You Use a Property Management Company for Your Rental. August 2017. Hassle Free Cash Flow Investing Interview. During this video interview, Leah Slaughter discusses the benefits and advantages of investing in property management services with OmniKey Realty. She talks about what sets OmniKey apart as well as her expertise on real estate investments in Texas. Houston Property Manager Interview - Omnikey and Hassle Free. January 2017. The Wylie News. Leah Slaughter, owner of OmniKey Realty was quoted in the Wylie News about rental home pricing in suburbs north of Dallas. http://archives.etypeservices.com/wylie1/Magazine153971/Publication/Magazine153971.pdf. July 2015. Housing Bubble Blog. This blog posts quotes the WFAA report about the DFW home pricing. Leah Slaughter is quoted in this article about how she “hasn’t seen values or demands like this since 2006”. http://thehousingbubbleblog.com/?m=20150707. 2015. Jason Wheeler WFAA Channel 8 DFW Interview. Leah Slaughter, owner of OmniKey Realty was quoted in this news interview about the values and prices for purchasing a home in DFW. She has seen home prices selling very quickly in this hot market. http://www.wfaa.com/money/consumer/researchers-recommend-renting-vs-buying-in-d-fw/148862343. Apr/May 2012. Wylie Connection Magazine. OmniKey Realty was featured in the April/May 2012 edition of the Wylie Connection Magazine. This is a Wylie/Sachse/Murphy community magazine and OmniKey’s property management services were featured and advertised. https://issuu.com/wylie_connection_magazine/docs/wylie_connection_aprmay12. April 2012. Wylie Chamber of Commerce Tri-Chamber Golf Tournament Sponsor Recognition. In this news article, an event hosted by OmniKey was featured. OmniKey Realty sponsored a Business Card Exchange Occurring in Wylie. http://archives.etypeservices.com/wylie1/Magazine10278/Publication/Magazine10278.pdf. April 2012. Wylie News Taste Of Home Bronze Sponsor. During the “Taste of Wylie” event OmniKey donated to be one of the Bronze sponsors for the event. This charitable function benefitted the Wylie Christian Care Center Food Pantry. http://archives.etypeservices.com/wylie1/Magazine9828/Publication/Magazine9828.pdf. Winter 2009. Woodbridge News. Platinum Sponsor Recognition. The Woodbridge Social Community thanked OmniKey Realty for being a platinum sponsor of the Chili Cook-Off community event. http://www.woodbridgehomeowners.com/woodbridge/document_view.asp?id=38.